The long-awaited Symmetra rework has finally gone live in the Overwatch Public Test Region. Blizzard released the PTR patch notes Tuesday for ​Overwatch, including the Symmetra rework that will shift her from a support hero to a damage role. She has a new ultimate called Photon Barrier that deploys a barrier big enough to span and cut through an entire map. Its orientation can be changed by pressing the ultimate button again, and it has 5,000 health. "The goal of these changes is to move Symmetra to her new damage role and make her more flexible and viable across more areas of the game than she was previously," Blizzard wrote in the patch notes. "Now that Symmetra is no longer a support hero; she is expected to be able to dish out heavy damage, and these changes allow for her to do so. She should be more powerful and interesting in more team compositions and maps, and she should also be stronger on offense and defense." 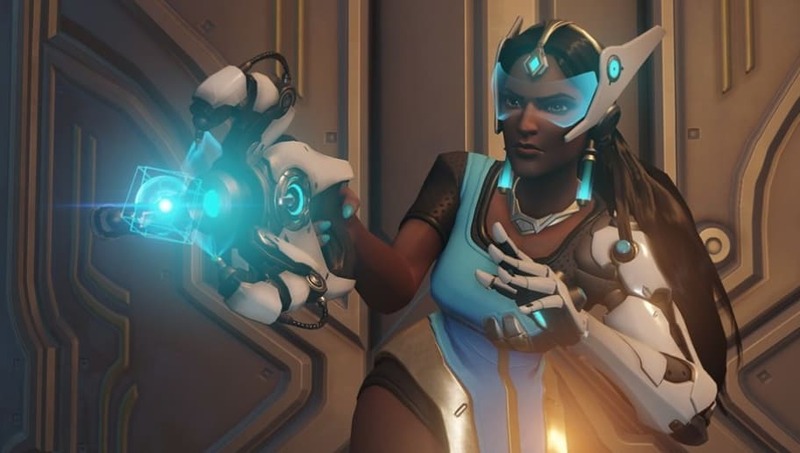 The Symmetra rework has been a lengthy process, and game director Jeff Kaplan has provided ​​multiple updates along ​the way. As one of the least viable heroes in the game, the update expects to see her return to the meta in some form, and being a damage hero should give the game a boost.